This is Ramsay's first appearance in a major motion picture. The host of Hell's Kitchen, Kitchen Nightmares, and MasterChef has contributed to documentary content over the years, but never a fictional screenplay. The story follows lead character Rob Haley, a London chef and restaurateur on the brink of success when he tragically loses his wife. Haley then confides in Ramsay, who encourages him to find restoration in his life by turning a run-down, dilapidated pub into a gourmet restaurant. As the restaurant becomes a success, it attracts American critic Kate Templeton, who eventually finds an attraction to Haley as well. 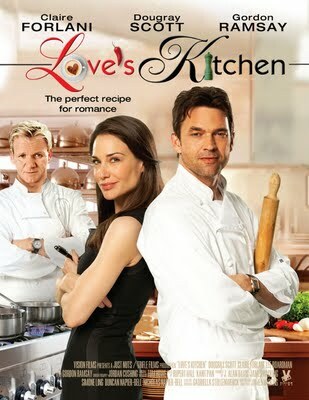 The film hasn't received the greatest reviews from film critics -- even the credits list Gordon Ramsay as "Ramsey." It was originally titled No Ordinary Trifle. In addition to a new film role, Ramsay has just renewed a contract with the UK's Channel 4 for a one-year deal, despite poor ratings of Gordon's Great Escapes. The contract involves two projects -- one program featuring Ramsay spending time in prison, and another food-based program that has yet to be determined.